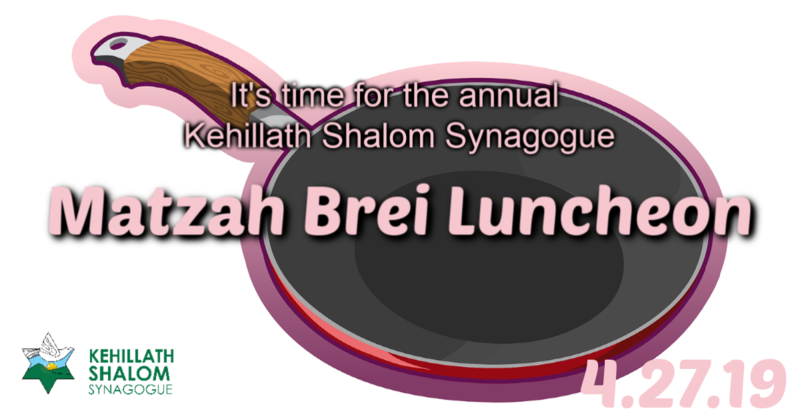 Wondering what's coming up at Kehillath Shalom Synagogue? Looking for the "beyond" that comes after our newsletter - TWAKS (This Week At Kehillath Shalom Synagogue) Well, you're in the right spot. Scroll down to see everything we've got coming up. 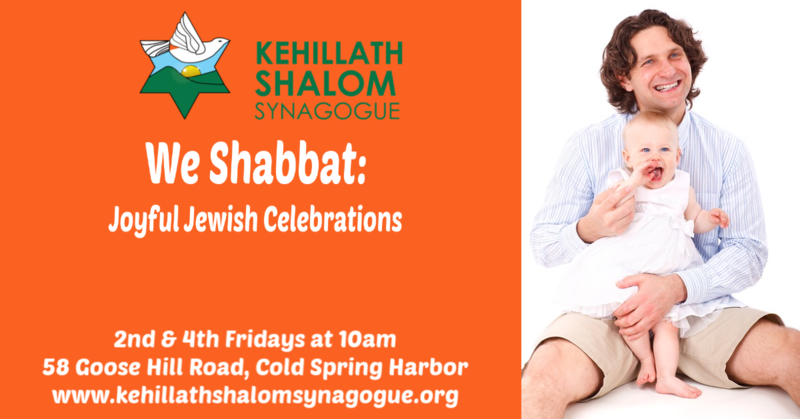 Kehillath Shalom Synagogues' annual community celebration of freedom is festive, fun, interactive. Featuring multiple versions of the wonderful (and binding) dish that uses up stray boxes of matzah the world-over! Feel free to bring friends or to just randomly show up. It's open to the public and we'd love to have you! ​we will explore the symbolism of the journey through the divine worlds. Each gathering incorporates learning, sharing, and embodied activity. All are welcome. 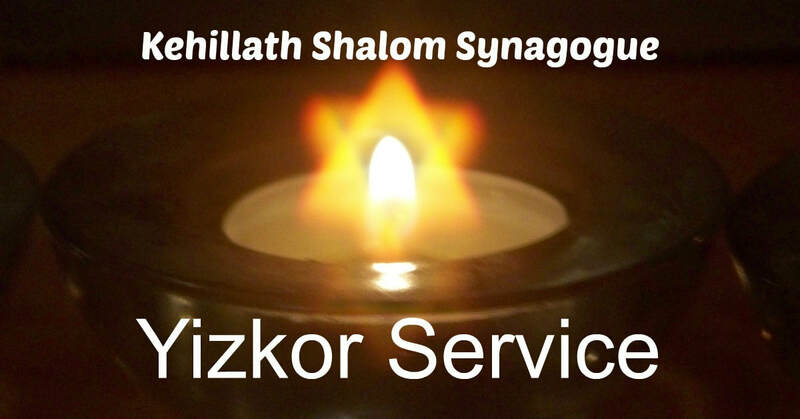 Join our community-wide observance of Holocaust Martyrs' and Heroes' Remembrance Day. Come to learn, to mourn, to remember, to honor, and to commit to a future of peace for all. 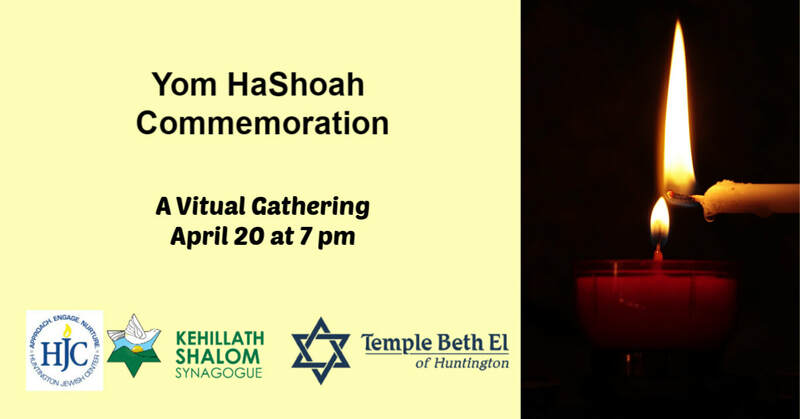 Co-sponsored by Huntington Jewish Center, Kehillath Shalom Synagogue, and Temple Beth El.